Every feather has a story. Or at least a previous owner. 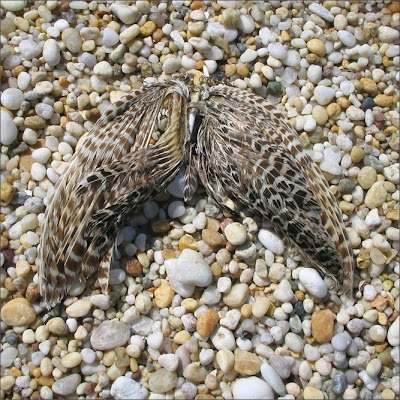 Our striped feathers came from the wings of an unfortunate creature that found it’s final resting place on the quiet pebbled shores of Peconic Bay. Thank you little bird. Tiny little feathers were carefully washed and dried to be used in a series of Cyanotype print gift cards for Spruce, a fab little shop in Memphis I recently visited and wrote about. 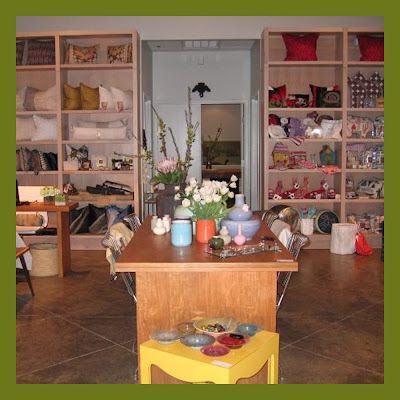 If you’re in the area, be sure to check out the rest of our Handmade On Peconic Bay gift cards, plus all the other wonderful goodies Selena McAdams has carefully curated. Here's a hot flash back to an item from my Summer 1989 fashion jewelry collection. The primitive textured beads on knotted leather cord were designed for Isaac Mizrahi, to accessorize his flowing silhouettes that season, along with Moroccan style shoes by Manolo Blahnik. 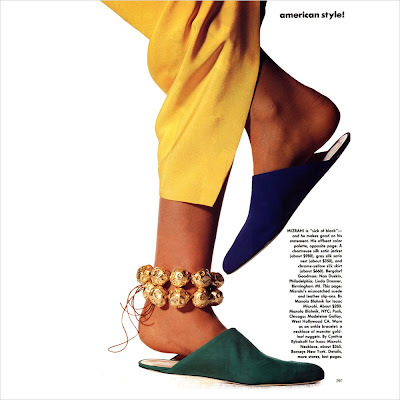 The photograph, above, from the March 1989 edition of Vogue, by Irving Penn, with it's striking harem dancer legs and feet, captured the exotic mood of Isaac's bright palette of chrome yellow silk with colbalt blue and emerald green suede mismatched slippers, and a tribal twist of gilt beads wrapped around the model's ankle. 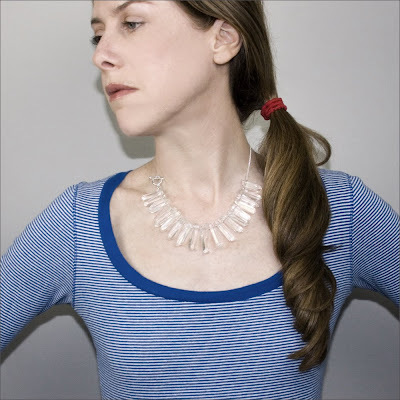 The necklace was carried by Barneys New York and Body Sculpture in Boston, a fabulous jewelry gallery that represented most of the designers from the Robert Lee Morris gallery Artwear in Soho. Made from polymer clay, the beads were hand formed, baked in a convection oven, and then given a gold leaf finish. Working with Isaac was always a blast; ideas moved quickly and spontaneously from his pencil to the runway. Isaac's early shows were a dazzling riot of color, fluid forms and over-sized hand crafty "jewels". In 1989 he was by far the most popular designer on Seventh Avenue and a pioneer in his downtown Soho studio, just two short years into his stellar career. 1969 was an amazing year for creativity, the arts and science. In music there was Woodstock, David Bowie’s “Space Oddity” and Yoko Ono and John Lennon’s “Give Peace A Chance”. In film “Butch Cassidy and The Sundance Kid”, “Easy Rider” and “Midnight Cowboy” were released, and the novels “Slaughterhouse–Five” and “The Godfather” were published. Rowan and Martin’s “Laugh-In”, “The Brady Bunch” and “Monty Python’s Flying Circus" premiered on TV. 40 years ago today Apollo 11 landed on the moon. I don’t remember any of it. I was six. 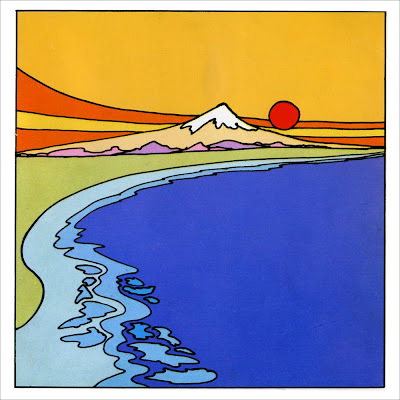 While 1969 for me was more about play dates, TV dinners and Saturday morning cartoons, the counter culture finally hit me in 1971, when I bought my first book, a breathtakingly colorful explosion of 5 ¾” square format design entitled “Peace” by Peter Max. As I soaked in New York City in the early 70’s, I began digging the groovy vibe. 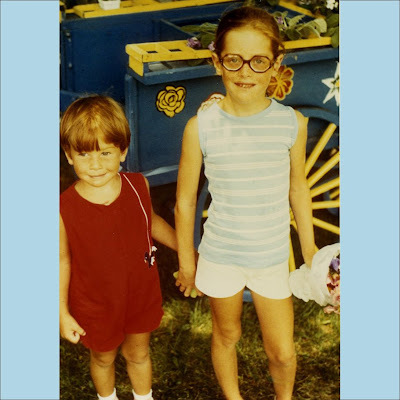 I drew peace signs and smiley faces and begged my mother for a zip front mini and a suede fringed vest. I knew every lyric from "Hair" by heart, and saw it in 1972. 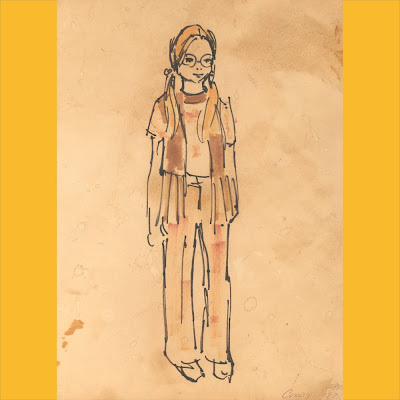 By the late 70’s I had reached the pinnacle of retro-hippie style, drew psychedelic art, made beaded jewelry, worshipped Jefferson Airplane and had some mind expanding experiences. I often look back to the post-1969 era with fond memories of that great incubator of a time, which shaped me as the artist and designer I am today. I have probably not yet seen all the avant garde art, heard every influential song, seen every important film or read every seminal novel from back then, but I definitely intend to. Say hello to this week's Freshly Picked item at Supermarket and check back each Monday for more seasonal gemstone picks. Starting today, my Fake Necklace is a genuine deal at 30% off for one week only! Engineered in the 70’s to look like the real thing, cubic zirconia is optically flawless and entirely fake. This delicate CZ micro briolette necklace on sterling chain is a timeless design. I love clear CZ, because it sparkles like crazy and it's easy to wear with almost anything. More fashion than flash, CZ has it's own charm and should never be a substitute for diamonds. Cynthia Rybakoff sterling silver and cubic zirconia Fake Necklace from the Post Bling Collection, $55.00, this week only at Supermarket. Just got back from a visit to Memphis, Tennessee, where I spent some time eating barbecue and checking out the local style. There was an abundance of great shops and galleries with exciting work by local artisans, but my fave was a super cute home decor and gift shop called Spruce. 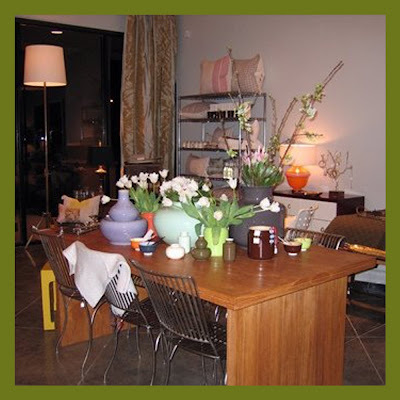 Interior designer and Spruce owner, Selena McAdams writes "My love for design is ever changing, always evolving. It is an honor to be invited into a person’s house to help make it a home. My best compliment to date is a client telling me she awoke at 3am to sit in her newly designed living room while the rest of her house slept." 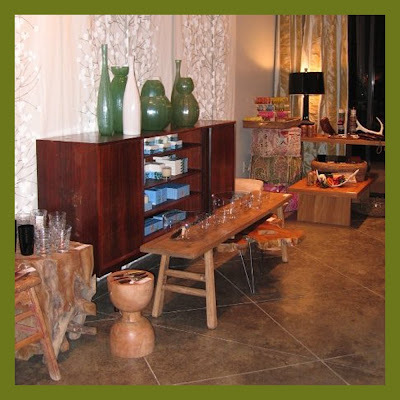 Spruce features a well edited collection of contemporary furniture, modern lighting, hip personal accessories, art, & eco-friendly products for your home and office. 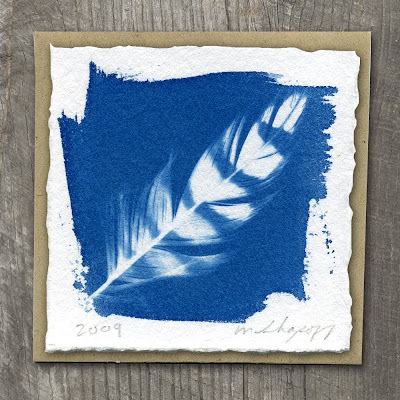 And in just a few weeks you'll find our Handmade On Peconic Bay cyanotype gift cards in the merchandise mix as well! For more information about Spruce and Selena's interior design services, please check out her website and get the latest updates on the Spruce Facebook page. I'm here in northeast Arkansas getting ready for the 1st Annual Whitton Farms Feastival on July 12th, featuring food prepared by renowned local chefs, awesome art & crafts from local artists and artisans, live music and even a pie eating contest. I'll be there too, with my jewelry and Matt's Handmade On Peconic Bay paper goods, as the only non-local artisan, an honor indeed! Norwood and Jill are doing their best to entice me to join them in their entrepreneurial fun here about 45 miles northwest of Memphis, TN. 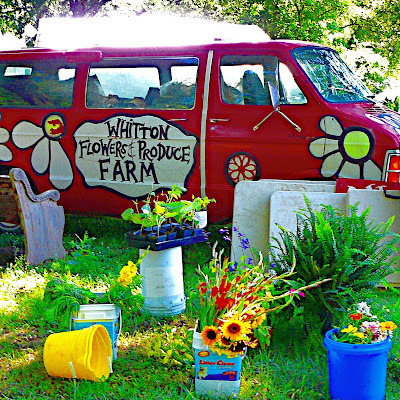 Whitton Flowers & Produce is a farm committed to producing organically grown, quality, locally grown, fresh food and flowers. Their motto is "If you know your farmer, you know your food. 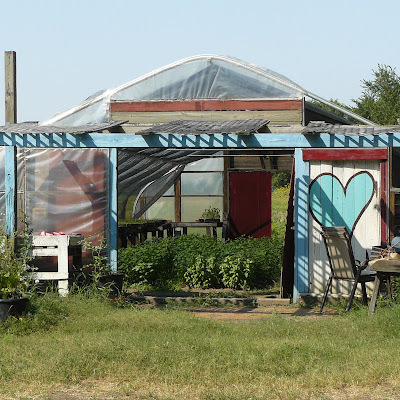 They grow an incredible variety of heirloom vegetables, cut flowers, native plants, medicinal & culinary herbs on ten acres of retired pasture land in the heart of Whitton, Arkansas. 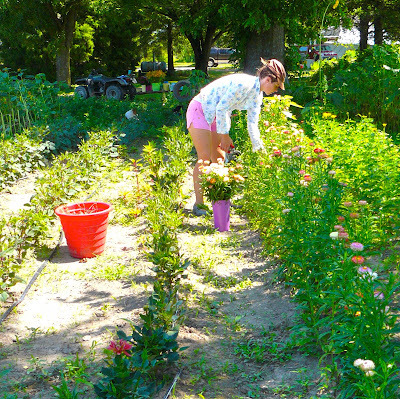 Whitton Farms was also named Farmer Of The Year 2008 & 2009 by Edible Memphis. It's been a pleasure getting to know Jill and Keith Forrester, owners of Whitton Farms, and spending some time with them on their farm as they prepared for the Memphis Farmers Market. For Jill and Keith, farming is a way of life that has no equal. Besides priding themselves on the use of organic and sustainable farming methods, the Forresters, and their eclectic farmstead, have tons of farm chic style! All photos are courtesy of Arkansas artist and photographer Norwood Creech. Special thanks to Norwood and her husband Tri for generously hosting me here in Lepanto, Arkansas, and "learning" a New York girl about the rural style of the Mississippi River Delta! This week’s Freshly Picked item at Supermarket is a powerful deal. Starting today, the Fortress of Solitude sterling silver and rock crystal spike necklace is 30% off for one week only. Cynthia Rybakoff sterling silver and rock crystal Fortress Of Solitude Necklace, from the Post Bling Collection, $52.00, only at Supermarket.